What I didn’t understand before setting out on this hunt was how much fun it would be to impose new rules on a game that I love and have already turned into a loose science. Spelunky is a design marvel, and the key to success is recognizing how to make any lemonade you can from the rotten, dried-up lemons it constantly hurls at your face. You develop universal strategies, learning when it’s best to take a chance and when you’re better off moving on. My internal Spelunky player’s guide is probably pushing 100 pages at this point, but all of that is out the window now. The basics are still the same, but when you’re playing for speed, hazards that were once laughable—when you had the time to properly deal with them—become mortal enemies. The tactical keystones I relied on for normal runs are often made useless when I’m in Speedlunky mode. 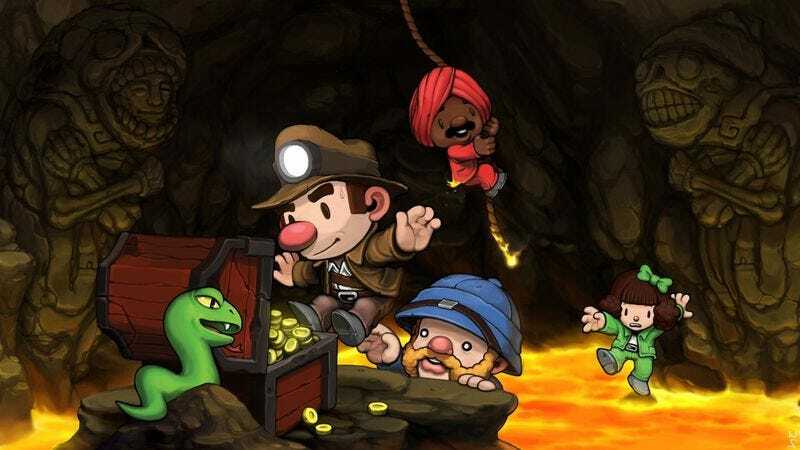 While I still loved playing Spelunky before embarking on this fool’s errand, I can recognize that it had become a soulless part of my routine, something I played to waste time because I was so comfortable with it. I had learned all there was to learn. Going after Speedlunky, though, has restored the thrill of dissection, education, and, most importantly, purpose that made me fall in love with Spelunky in the first place.